Open Monday - Friday for lunch service. Complimentary valet service is provided at The Manor House during lunch hours of operation. Self parking is also available in The Houstonian Hotel parking garage. 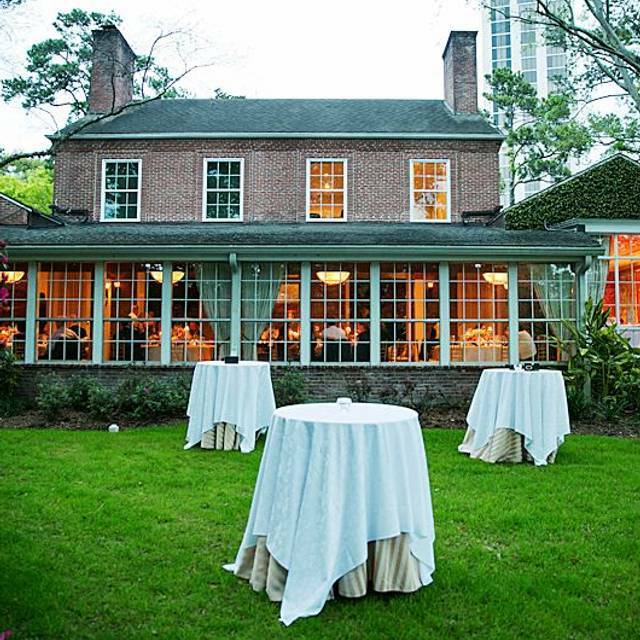 The Manor House is available to book on weeknights and weekends for private events such as rehearsal dinners, weddings, brunch celebrations, dinner parties, anniversaries, and corporate functions! Please contact The Manor House for information about booking availability. 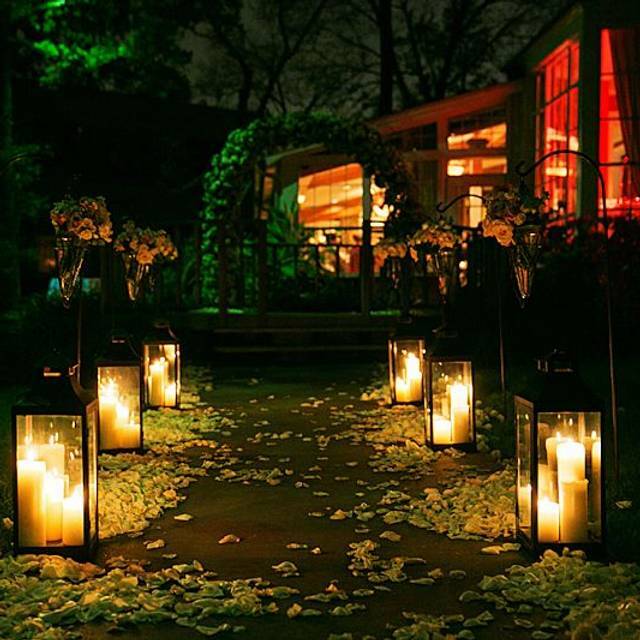 The Manor House is a historic home built in 1955 by renowned architect John Staub, and has since been transformed into a premier dining venue of The Houstonian. 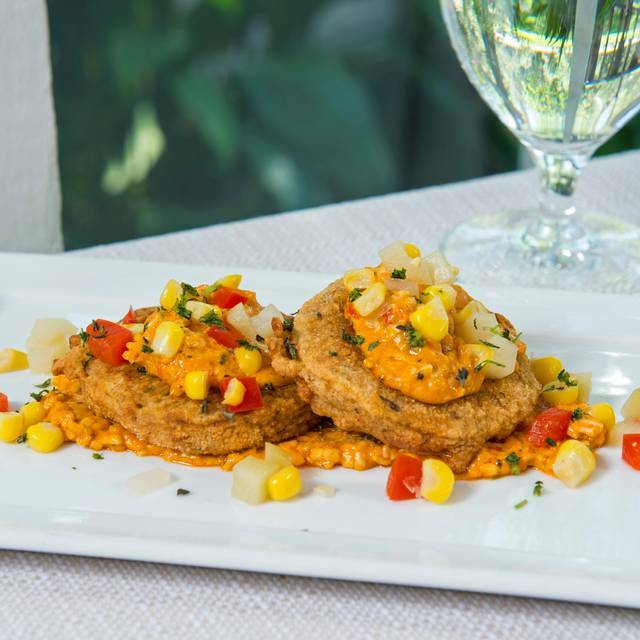 Our guests can experience a connection to Houston's most graceful architectural era while enjoying Texas cuisine infused with elements of creole cooking and ingredients sourced from the Gulf Coast. 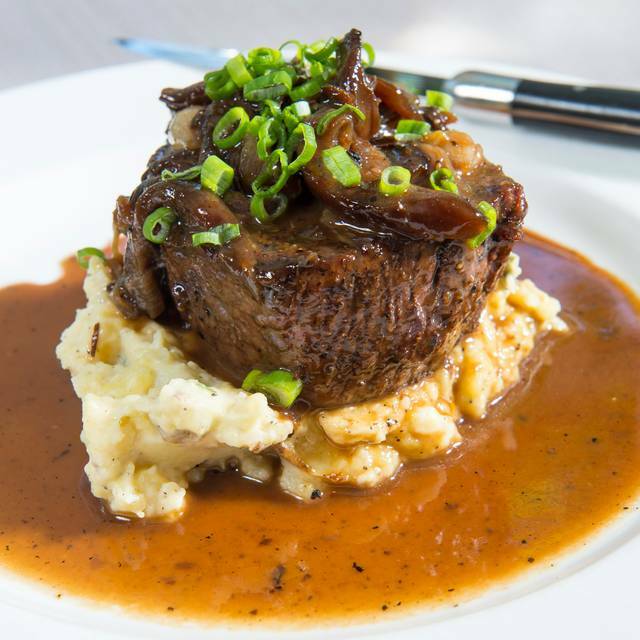 Voted by The Houston Business Journal as Best Place for Power Lunch, The Manor House proves that there's no better place to do business than on the Bayou. Celebrate in style with distinguished guests from Mexico at the Manor House's lavish Fiesta Cinco de Mayo! This grand fiesta includes famoso mariachis, premium cocktial with Herradura, Mexico’s fine estate grown/bottled tequilas, Davidoff Cigars and authentic Puebla cuisine~! The chicken salad was a little overpriced but tasted delicious! Never a disappointment in service, taste or ambiance! So very perfect! They just don't make them like this anymore! Just wanted a pleasant, enjoyable lunch. Hadn't been to the Manor House in several years and now am wondering why. Food is good, although a sample of 1 is obviously too small to be valid. The main advantages of the Manor House are:  convenient to my West Loop office;  quiet, compared to the average Houston restaurant;  wonderful setting--you would never know you are in the middle of a large city;  nice ambiance, tasteful without being over-the-top elegant;  friendly staff;  discount if you are a member of the Houstonian Club. What is not to like? Wished they were open for dinner = my only complaint. Excellent location for lunch with conversation. Impressive food. 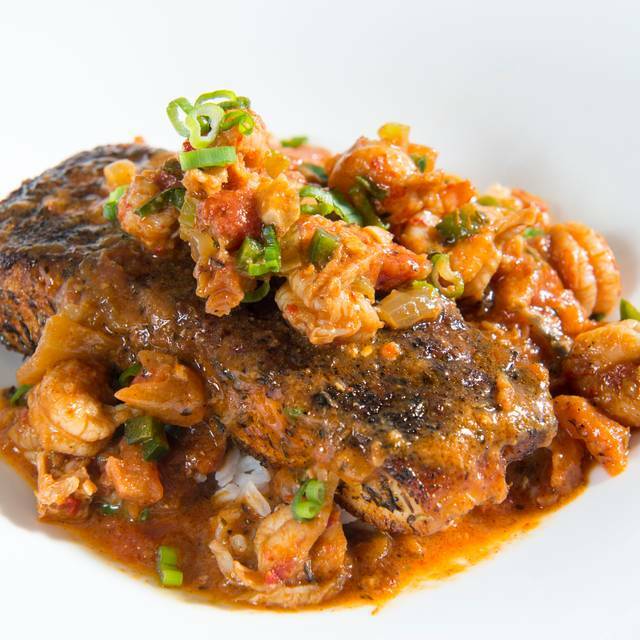 We each had the daily special of redfish topped with crawfish etouffee along wit the side Southwest salad. Excellent place for a quiet, enjoyable lunch with friends. Charming location with very nice staff. Food was a tinge below average for price and ambience. Unbeatable ambience. Convenient location. Easy parking. Good for business lunches as you can actually carry on a conversation. Excellent food and service. 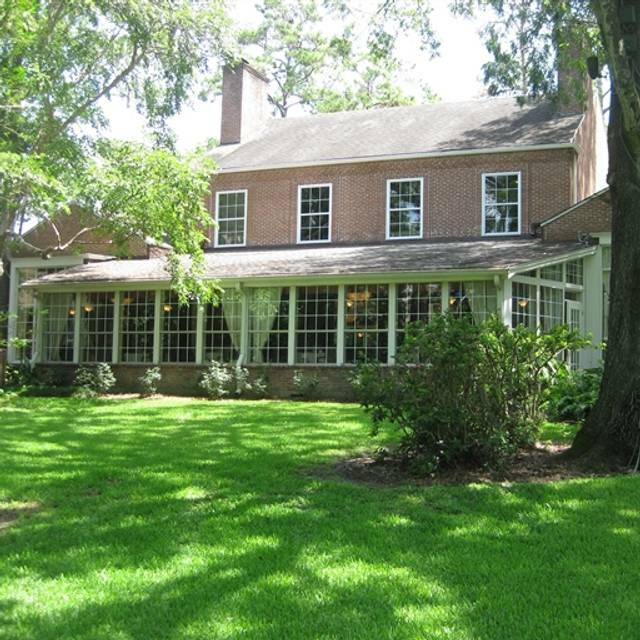 The Manor House is located in one of the most historic buildings in Houston, where President George H.W. Bush hosted many foreign dignitaries and heads of state in his presidency. Everyone who dines here in this homelike setting is afforded VIP status. Thank you Amber for a nice welcome. Love the food. The best pork dish and the beef special so yummy. Thank you Eduardo for excellent service. Wonderful holiday lunch - everything was beautifully plated and delicious. One of the best beet salads we've ever tasted. The seafood crepes were awesome! Service was friendly, professional and on point. We love the Manor House. 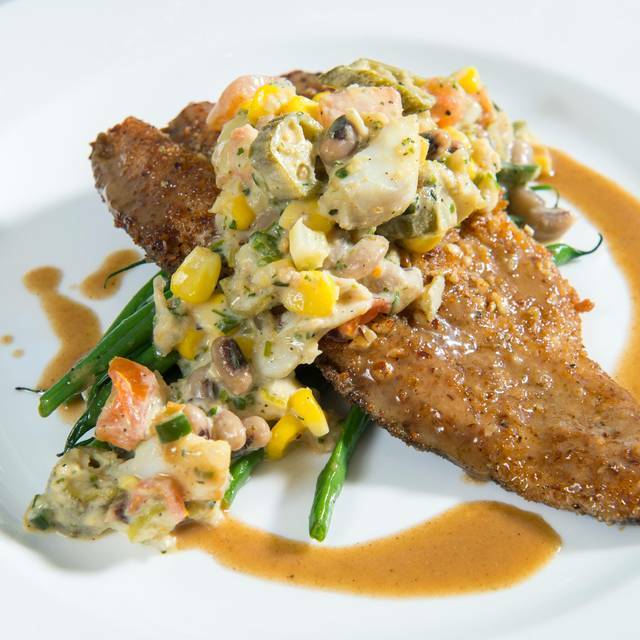 We miss the chips and mustard with the Beef Carpaccio, the Steak Diane, and the pecan pie. We are old fuddy duddies but these were really great dishes. We did enjoy the Oxtail soup, Texas Black Angus Filet Mignon, and the special Crispy fish(although the potatoes and green beans were bland, maybe Corn Succotash and Croquette would have been a better option for this). The pumpkin pie was quite good ). We will be back! Very quaint. Had wanted to visit this place ever since they opened just over a year ago. Didn't realize George great service sir, very attentive and helpful. We were "forced" to eat dessert, a toffee pudding cake with ice cream that was equally up to the task. All in all, an outstanding restaurant with great staff. Thank you. My Christmas lunch with a friend was perfect. Flowers indoors and outdoors, and holiday decor everywhere - it’s such a gem - the most beautiful restaurant in the city! Love the history and the food & service is always extraordinary. Lots of business lunches going on too. Love this place. A remarkable venue for a business lunch or date. The stoic home exudes Houston tradition. The menu, though somewhat limited, often offers great daily specials. The staff is fantastic: very experienced, accommodating and efficient. I love this place! The food escexcellent; the staff is superb! Everything about our evening was perfect. One of the few places in Houston where you can have quiet conversation. Lovely ambiance and food we all enjoyed, and a wonderful waiter who was simply the best! All of these things make us anxious to return to this special place. My wife and I enjoyed the luncheon dining experience. The staff was truly exceptional and attentive. We were surprised by the quality of the food and the inventiveness of the cuisine. The menu is limited but most people should find something desirable. We would clearly return. The food was incredible. I always enjoy the beef tartare, and Wild Salmon, and all of the desserts are magnificent. Chef was very accommodating in our special request and the meal was perfect in all regards. The occasion will be long remembered. We enjoyed an excellent dinner for just the two of us on our anniversary. We also had a wonderful lunch with our family there. The food is outstanding and the service is truly excellent. Great restaurant and outstanding service. The ambiance and scenery were nice.The gumbo was superb and Steak Diane was oustanding. Salads were exception but pork roulade was dry and tasteless. Sea food medley was pedestrian. The wine that we selected from the list that would go with both main courses was out of stock at Manor House and Houstonian. One of my favorite places for ladies who "business lunch"
Very happy with our experience and looking forward to our next visit! My wife and I were staying at the Houstonian and decided to try the Manor House. We were seated by a window with an awesome view. We enjoyed watch the rabbit play in the yard outside. My wife had an outstanding wine from Oregon that only is sold at the Manor House, and I had a whiskey cocktail. Both drinks were outstanding . The service was second to none! Never had to ask for anything because they were right there to provide! The food we ordered was delicious and we also enjoyed desserts! We even recommended it to another couple we got to know at the pool the next day! We will definitely be back! The food was excellent. I had the tomato salad and salmon and entree. Both were ample portions, beautifully plated, and the taste was exceptional. I would not change a thing. We were celebrating a birthday dinner. I was concerned we were going to be the only ones dining, but the dining room was almost full. Plus there was a small party in one of the separate rooms. It wasn’t lively, but it wasn’t dead either. The Manor House was built as a stately home in 1955. I love the history in the ambiance, although it could use a bit of updating...Probably only the lighting. It looks like the lighting fixtures were last updated in the 1990s. The staff were attentive and friendly, although it took a little longer than what felt right to bring our first drinks. The valet parking seemed odd because the attendants were stationed at the hotel entrance. It took some arm waving to get their attention, but once they saw us they ran over and were very attentive. I can see this being a very cool place to hang out at the bar before a great dinner with friends. Very country club in feel. It just needs a bit of updating to the atmosphere to bring it up to date. Not much! The old feel is good. Just needs to dust off that 1990s vibe. Beautiful and with incredible service. The food, of course, was excellent. 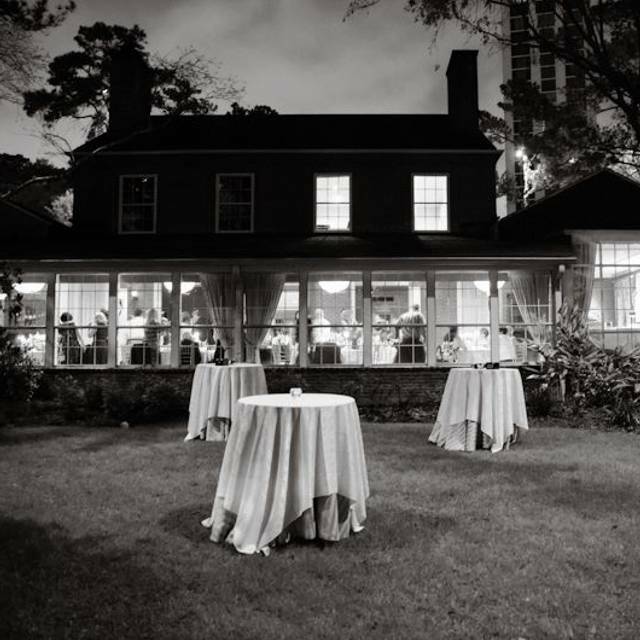 I was only familiar with the Manor House as a private event venue and because of its historical significance. Now that it is a restaurant, we wanted to try it. Breakfast meeting spots that offer an elegant atmosphere and quiet are tough to find. The Banana Stuffed French Toast and Bacon were incredible and our server, Ricardo was seasoned and attentive. Can't wait to go back! Excellent service and food. It’s a bit pricey for breakfast. Love the house-like feel. What a wonderful lunch, peaceful and quiet, beautiful surroundings and excellent food and service. My wife had the filet, I had the quail, both perfectly cooked. This is a do again for sure, and soon. 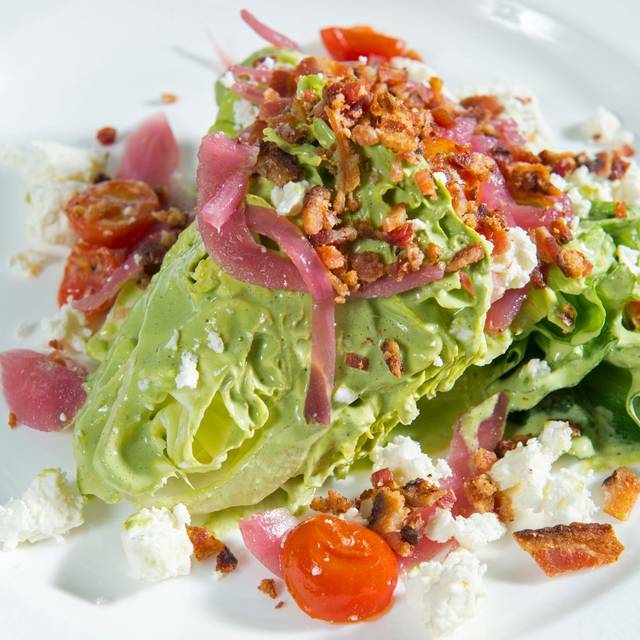 Most restaurants are trying to be dynamic and loud and Manor House is just the opposite. It was our first trip but not nearly our last! Fabulous meal in a beautiful setting!! My brother complains that he needs to eat at Whataburger after a fancy dinner, but not after eating at The Manor House. We truly enjoyed our evening there!